Logos Land Resort is a family oriented resort that offers year round accommodation and activities surrounding Astrolabe lake. It is located in Eastern Ontario just east of Cobden along Highway 17. The lake is the spring fed and clean and free of motor boats. The resort is built on the site of the Astrolabe's discovery. Summer activities include zip lines, a waterpark, par 71 golf course, petting farm and hiking trails. The zip lines run 2 riders at a time in a triangle of 3 separate runs right over the lake. The zip lines are open from May to well into the fall as weather permits. 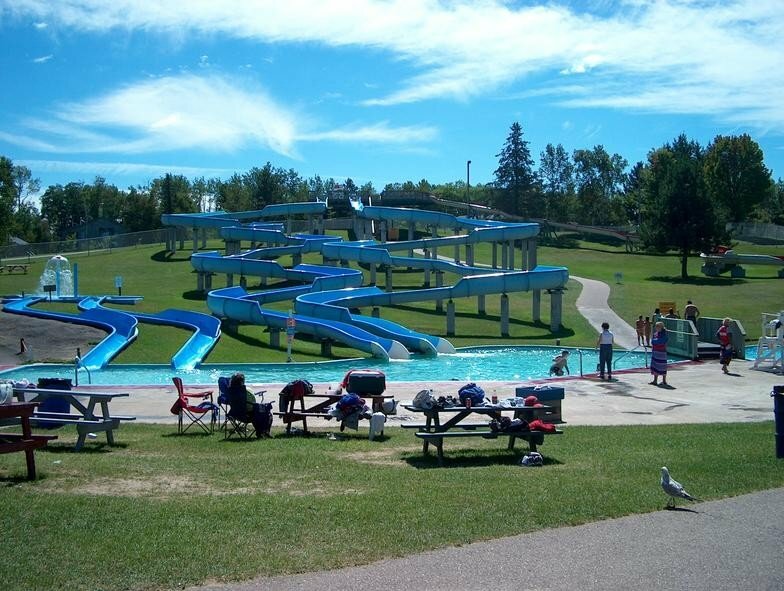 The waterpark features 5 giant water slides, a splash pad, large water trampolines, paddleboats, mini-golf, a petting farm. 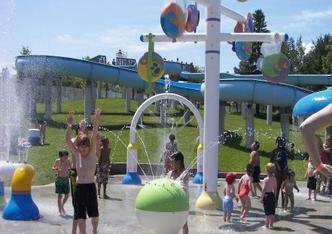 The waterpark is open mid-June to Labour Day. The Oaks of Cobden Golf Club is adjacent to the back of the property and can be seen from the lake It is open April to Oct. Actual opening and closing dates fluctuate depending on weather and conditions. Accommodations range from campsites, RV Park, RV rentals and cabins to 1 bedroom motel units and 2 bedroom villa units. A representation of Noah's ark contains the resort's reservations desk and gift shop. The Ark, motel and villa accommodations are open year-round. The RV Park and campground is open May long weekend to October Labour Day long weekend. It was founded and invested in by Roman Catholic Kevin Cahill.